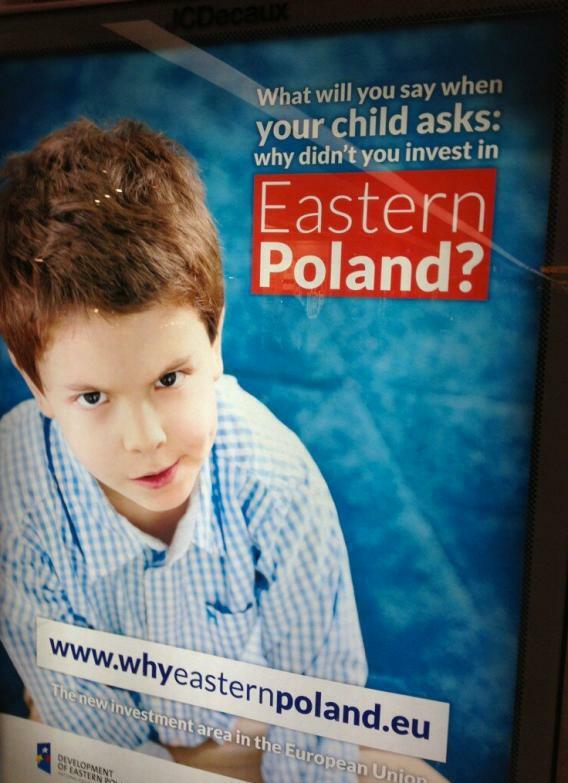 Eastern Poland investments: What will you tell you child. Earlier today Josiah Neeley called my attention to what has to be the greatest economic development poster of all time. The question, of course, is what will you tell your child? I don’t have one currently but probably will some day, so I need to think about this. What I’m going to say is that the tax code advantages a disproportionate investment in owner-occupied housing, which to an extent kept me out of eastern Poland. But more broadly I thought it was prudent to invest in a diverse portfolio of index funds. Consequently, I do have at least a little eastern Poland exposure. At any rate, I believe my family on my mother’s side largely hails (like many American Jewish families) from what’s currently eastern Poland (but was Russia at the time) and didn’t necessarily have a great time of it. Nonetheless, best of luck to eastern Poland.